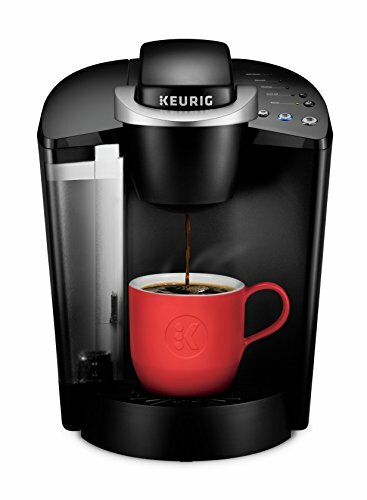 The Classic Keurig K-Cup Single Serve Coffee Maker, and a perennial best-seller, the Keurig K-Classic brews a rich, smooth, and delicious cup every time with the quality you expect from Keurig. Simple touch buttons make your brewing experience stress free, and multiple K-Cup pod brew sizes help to ensure you get your perfect cup. Whether you like your coffee strong, mild, decaf, or flavored, you can brew all of your favorites with the Keurig K-Classic and with large 48oz water reservoir, you can brew 6+ cups before having to refill. Discover hundreds of K-Cup pod varieties from all of the brands you love, including Green Mountain Coffee, Starbucks, and Lipton, and enjoy coffee, tea, hot cocoa and more. Also available in a two fun colors to complement your d cor, and compatible with the Keurig Classic Series My K-Cup Reusable Coffee Filter, so you can brew your own ground coffee. 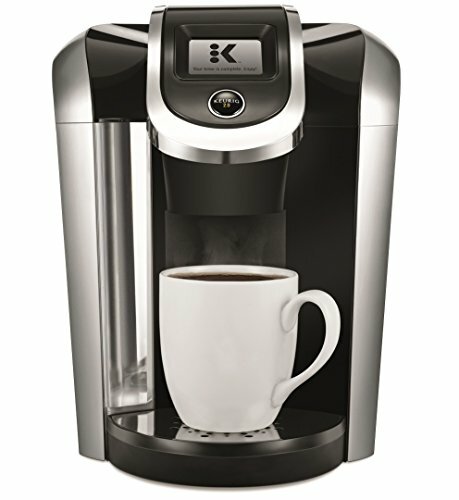 The Keurig K-Elite brewer blends a premium finish and programmable features to deliver both modern design and the ultimate in beverage customization. With a striking brushed finish and metal details, it s a stylish addition to any kitchen. 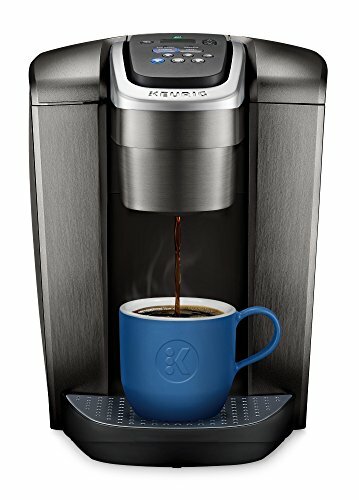 The Keurig K-Elite single serve coffee maker features Strong Brew for when you want to brew a bolder cup of coffee, and an Iced button to brew hot over ice for a refreshing, full-flavored iced coffee. 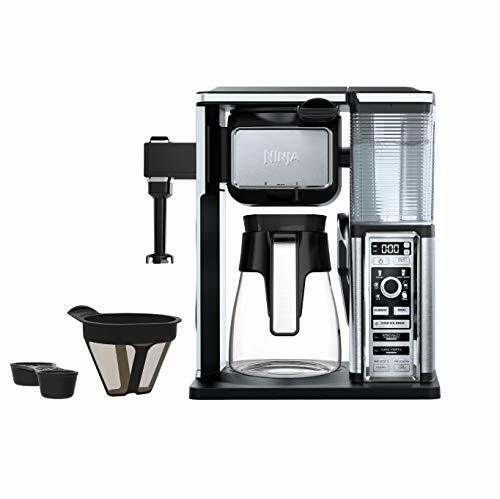 It features five brew sizes, so you can brew your favorite coffee, tea, hot cocoa, or iced beverage at the touch of a button. Choose from hundreds of delicious varieties of K-Cup pods, or brew your own ground coffee using the Universal My K-Cup Reusable Coffee Filter (sold separately). The K-Elite brewer offers programmable features like auto on and temperature control, as well as providing hot water on demand for instant soups and oatmeal, and the large 75oz removable water reservoir lets you brew 8 cups between refills. Keurig pods are BPA-free and constructed using only FDA approved food grade materials. In addition, the temperature of the water dispensed in Keurig brewers is well below the melting and softening points of the pod materials. Therefore, no plastic leaches from the pod into your beverage. We regularly review the components used in our products to ensure that they are safe and meet or exceed applicable FDA standards.